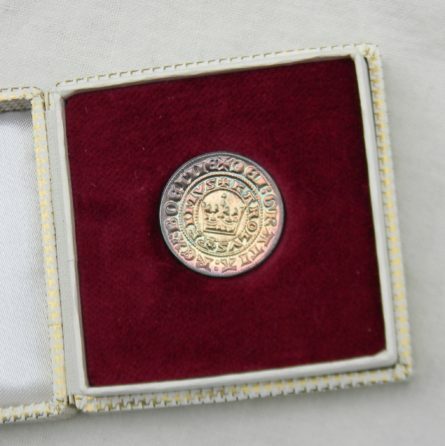 1310 1346 Bohemian PRAGER GROSCHEN 1994 Czech silver restrike; only 5000 struck! 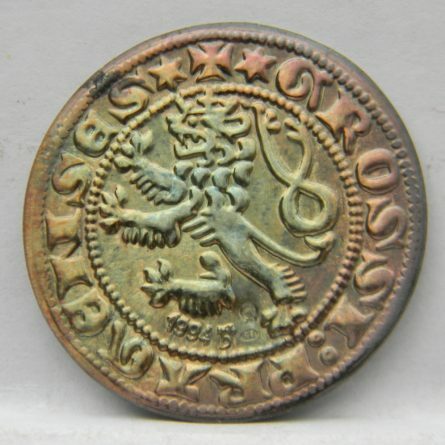 Czech Republic 1310-1346 silver Bohemian PRAGER GROSCHEN official 1994 Grossi Pragen restrike; beautiful coin with attractive rainbow patina, .999 fitness, original presentation case. 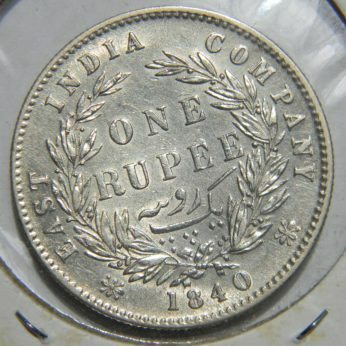 Only 5000 struck! An official Czech Republic’s 1994 re-strike issue of a rare 1310-1346 Bohemian PRAGER GROSCHEN (Grossi Pragen). 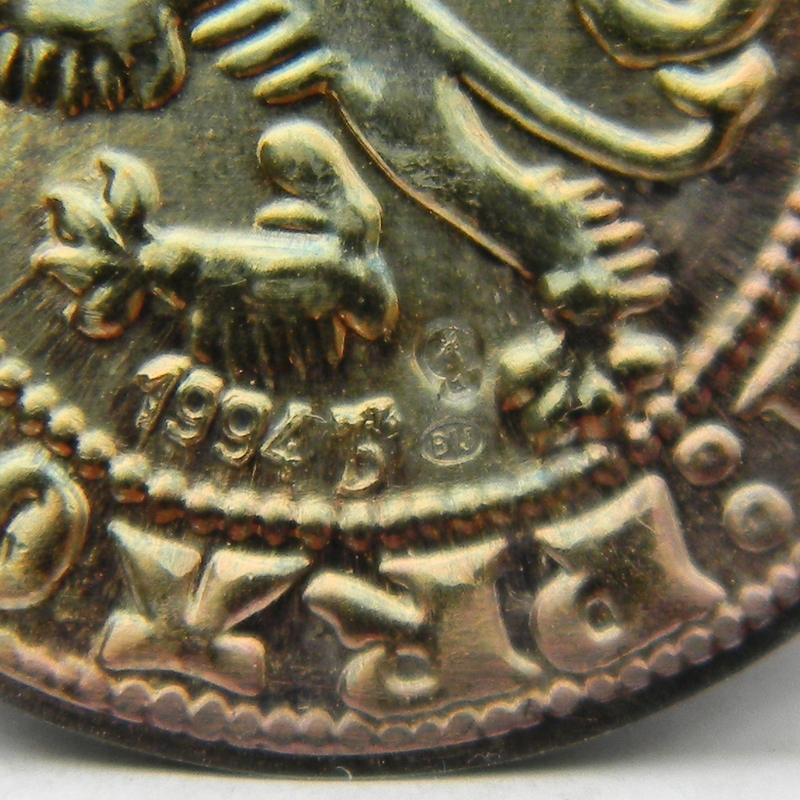 The re-strike is clearly date-marked 1994 on obverse, and with the assayer’s stamp BIJ and Czech’s .999 silver fitness stamp (“stag 1” – prior to 2004 number #1 fitness stamp meant .999 silver content). 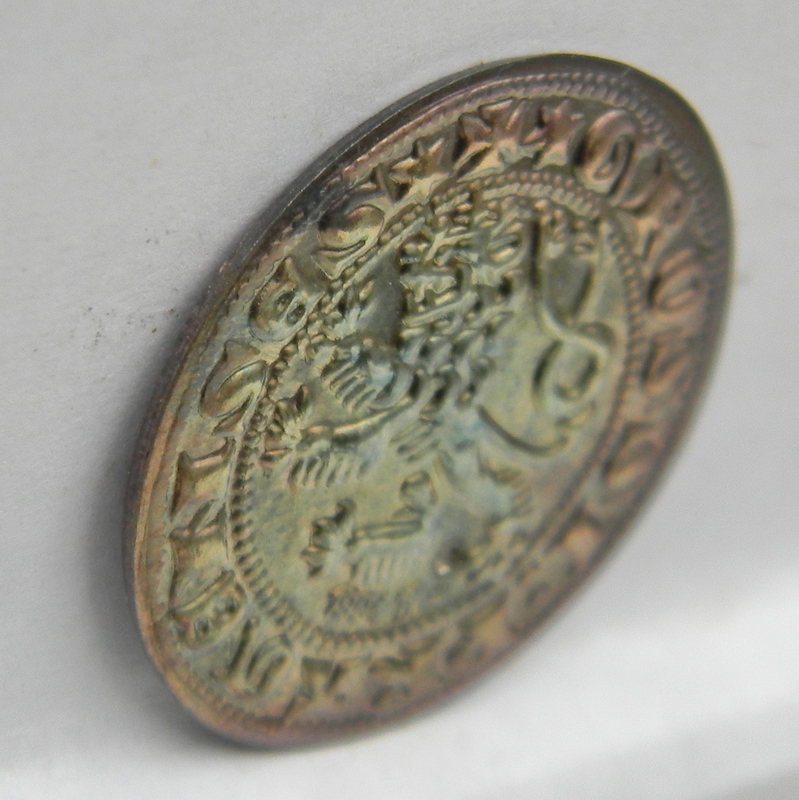 Excellent overall quality; VERY attractive gray patina with golden-purple overtones and original mint luster. 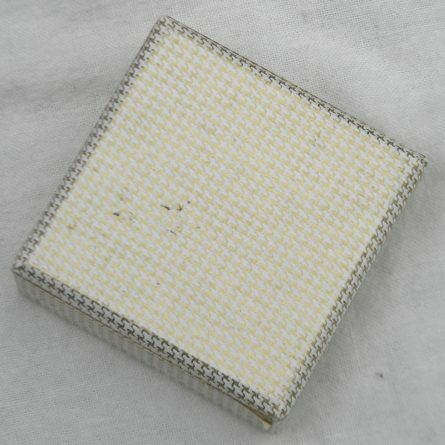 About 26 mm in diameter, weights 3.8 gm; comes with original red velvet lined 2.75″ by 2.75″ cardboard presentation box. 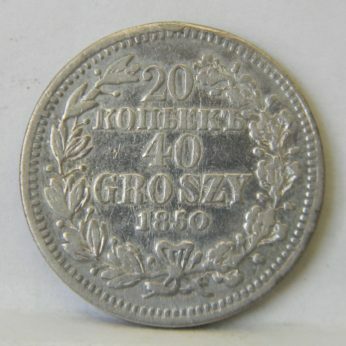 Czech Republic’s 1994 Prager Groschen re-strike issue was limited to just 5000 silver rounds. 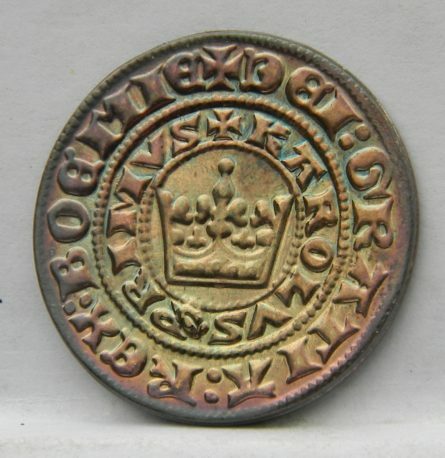 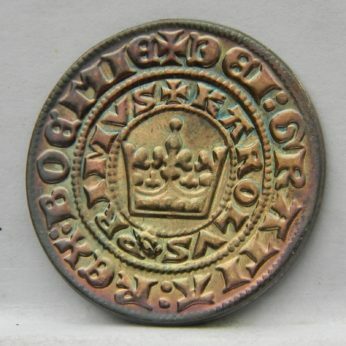 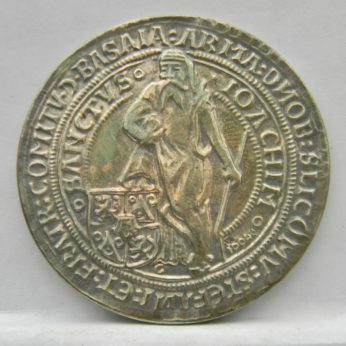 This official 1310 1346 Bohemian PRAGER GROSCHEN 1994 Czech silver restrike specimen is in excellent overall condition, you will not be disappointed. 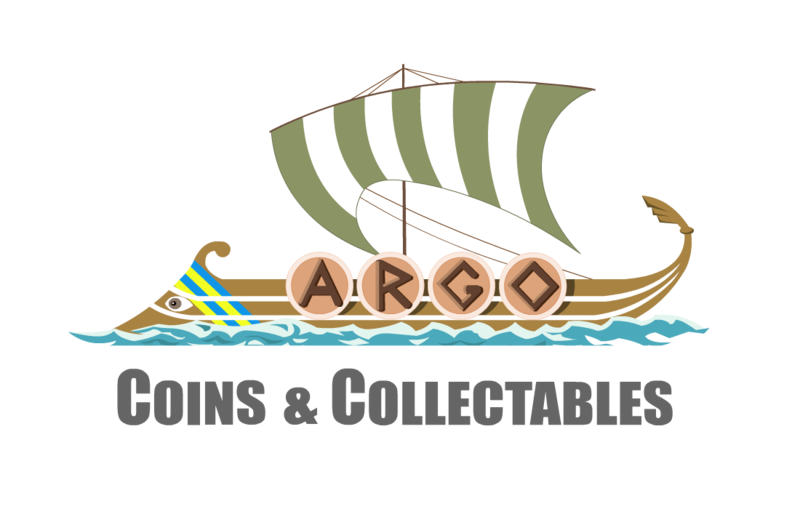 An affordable way to have a coin that looks and feels as close as possible to the real deal without spending hundreds of dollars. 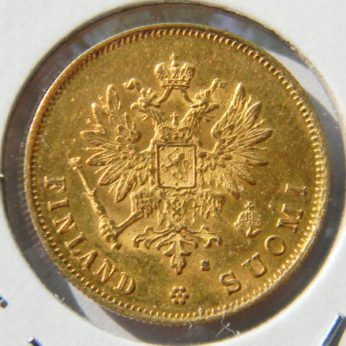 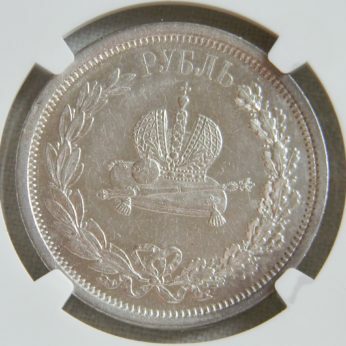 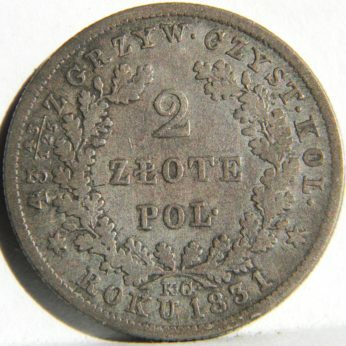 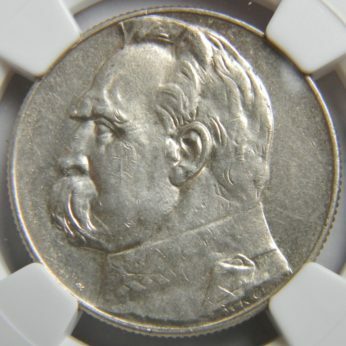 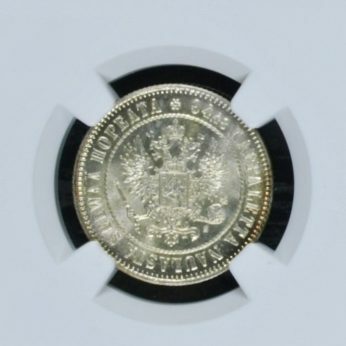 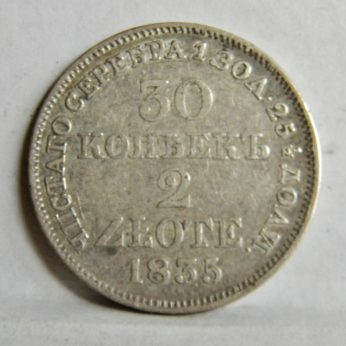 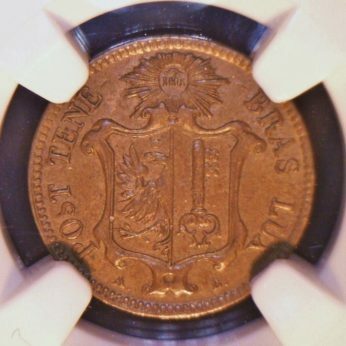 See our European Coins section for the similar items.